The architecture boom that has gripped New York City for the past several years has left many indelible marks on the city’s skyline. 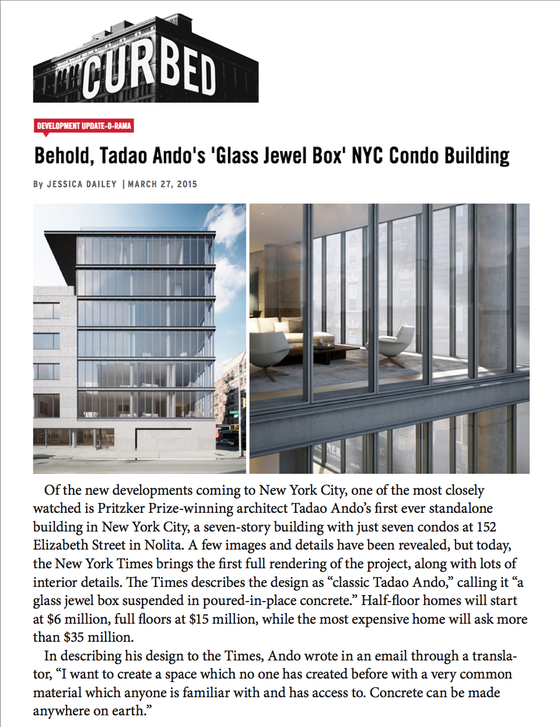 Tadao Ando’s seven-condo “jewel box” building at 152 Elizabeth Street in Nolita, developed by Sumaida + Khurana, has unloaded its expansive penthouse for a whopping $35 million. While three of the building’s less expansive units hit the market, the duplex penthouse was never officially listed, though it still managed to attract a wealthy buyer who remains to be revealed. A duplex at the Tadao Ando-designed 152 Elizabeth St. in Manhattan went into contract last week in an off-market deal, Mansion Global has learned. It was asking $35 million. His buildings have risen in Tokyo, Milan, Shanghai and even Butwal, Nepal, but Tadao Ando, the Japanese architect lauded for his artistry and elegance, has never designed one in New York City — until now. At the corner of Elizabeth and Kenmare Streets at the edge of NoLIta, demolition work began in early March to make way for a seven-story condominium, Mr. Ando’s first stand-alone project in the city, although he has designed a restaurant (Morimoto in Chelsea) and residential interiors in Manhattan. Commissioned by the development firm Sumaida + Khurana, the architecture aficionados, the emerging block in the North of Little Italy area looks like it might become one of the most elegant condo buildings the city has ever seen. 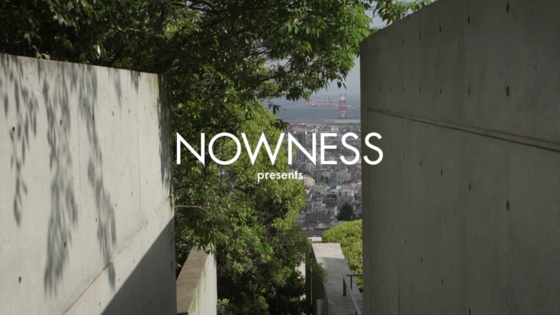 Simple, self-effacing and beautifully proportioned, it is the work of Tadao Ando, the Japanese architect. The one-time boxer who is now revered as a creator of serene museums and impeccable concrete surfaces, has designed an intriguing building that combines his familiar motifs with something of Nolita’s particular blend of loft living and industrial construction. 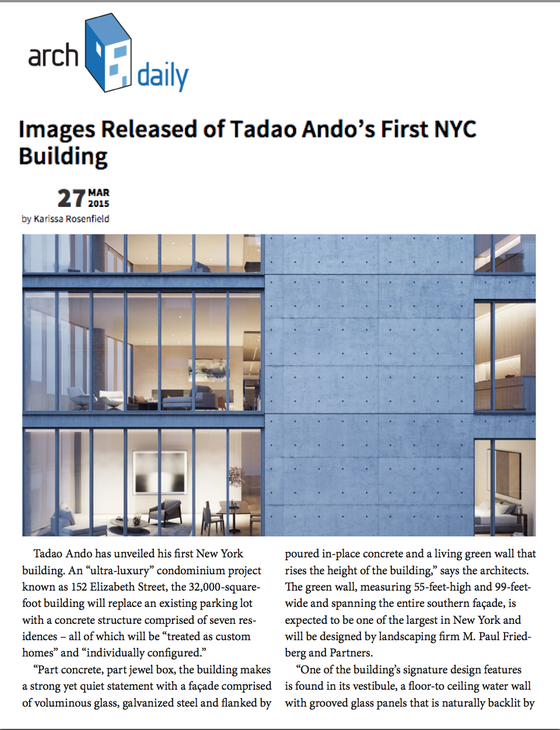 Simplicity is of the essence in the work of Japanese-American architect Tadao Ando, and his first New York City building is no exception. For 152 Elizabeth Street in Manhattan’s Nolita, the visionary minimalist partnered with American architect Michael Gabellini to translate his signature style to the New York City skyline.“ Many of Tadao Ando’s projects have a subtle spatial sensibility that combines a series of basic elements—concrete, metal, glass and wood—where beauty is found in the simplicity and refinement of nature,” explains Gabellini. 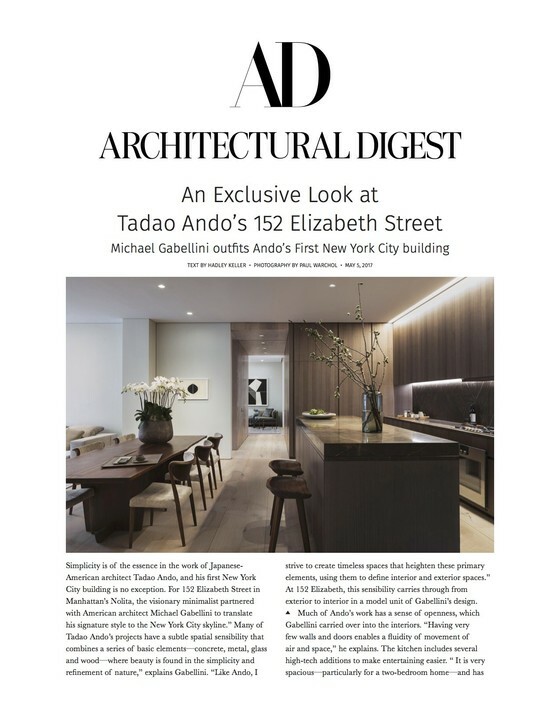 “Like Ando, I strive to create timeless spaces that heighten these primary elements, using them to define interior and exterior spaces.” At 152 Elizabeth, this sensibility carries through from exterior to interior in a model unit of Gabellini’s design. 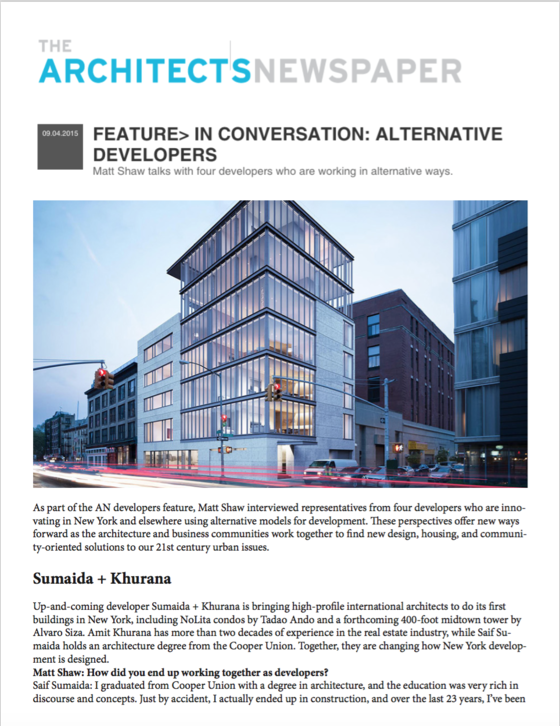 Developers Sumaida + Khurana and Nahla Capital’s nearly completed seven-story, seven-unit condominium building at 152 Elizabeth Street is the Pritzker Prize-winning architect’s first in New York City — and it is clear that Japanese delight in quiet subtlety has inspired this latest project. In New York City, many top architects have found inspiration for luxury in a rather humble material: concrete. Several projects popping up on the island have made cement the focus of their façades. 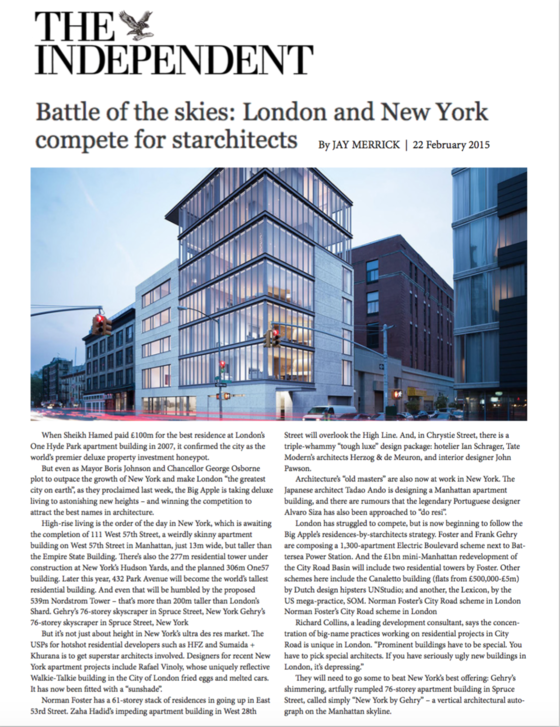 It turns out the structural skeleton of a building holds significant visual inspiration—what’s usually reserved for strength and support, hidden behind cladding, is having blending in yet standing out from Manhattan’s architectural landscape, and is flexible enough for significant customization—a hot commodity for developers in the city’s luxury real estate market. 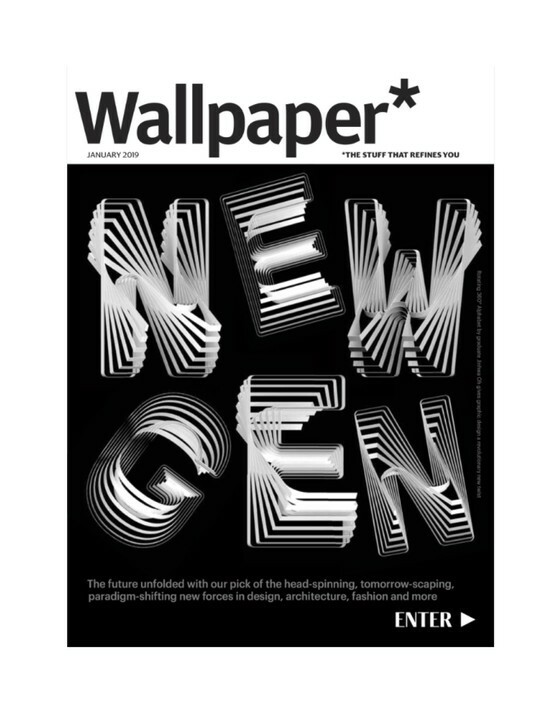 After decades of dedicating the September issue to New York, Interior Design is for the first time devoting a whole section to real estate. Sure, the city has long possessed beaux arts grades dames and pioneering modernist towers. But for many years, while the Middle and Far East were building like crazy, it was quieter on the Big Apple front. Many of the best architects were busy far away from home. Not so today. Over the course of his nearly 50-year career, Ando has helped transform the gritty, gray material often associated with driveways and median strips into an artistic medium. “Every architect I know who wants to do something in concrete always refers to him as the ideal in concrete design,” says Reg Hough, a concrete consultant who has for decades worked closely with top architects, including Ando, I. M. Pei, and Richard Meier. 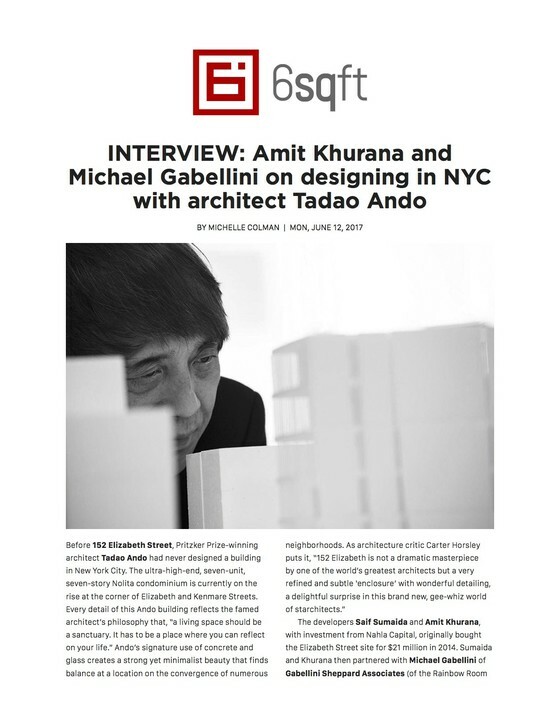 Having left his mark on cities from Tokyo to Fort Worth to Milan, Ando is now overseeing construction of a seven-unit, concrete-and-glass condominium building, 152 Elizabeth, his first stand-alone structure in New York City. Architects making a New York debut this year include Tadao Ando, the Pritzker Prize-winning architect behind 152 Elizabeth Street, a boutique condominium developed by the New York firm Sumaida and Khurana. 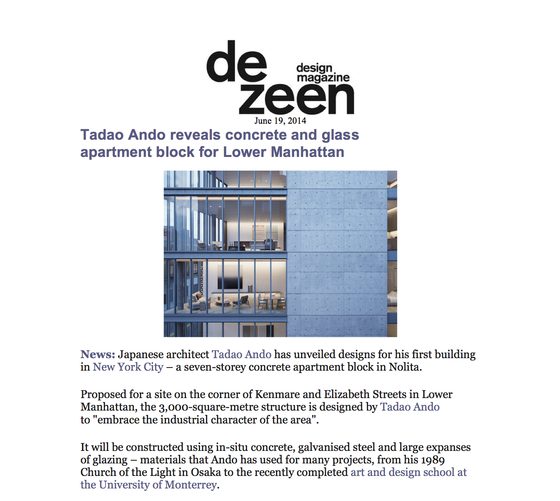 The building will incorporate Mr. Ando’s signature poured concrete, galvanized steel and voluminous glass, and house just seven two- to five-bedroom apartments with half-floor residences starting at $5.9 million and full-floor apartments beginning at $15 million. 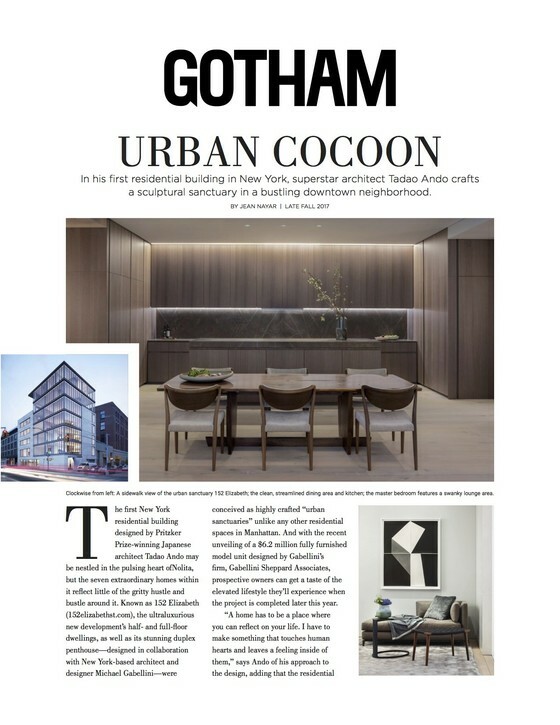 a point to work with renowned architects that have yet to build in New York City, 152 Elizabeth Street is poised to set a new standard in luxury living. 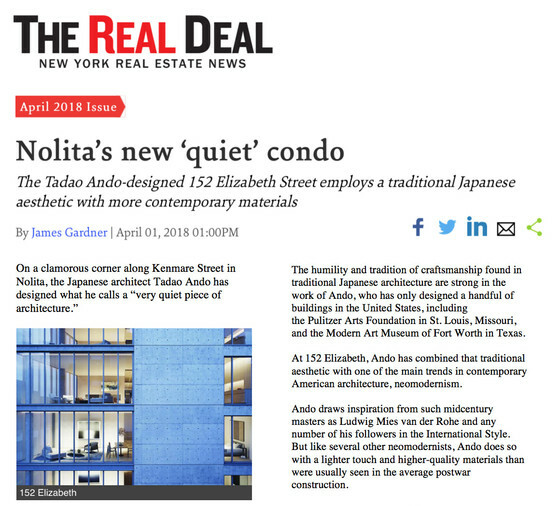 Tadao Ando’s Nolita condo at 152 Elizabeth Street was designed with simplicity, utility, and comfort in mind; and nowhere is the building’s philosophy more apparent than in its new model apartment. The perfectly-finished 3E is a 2,011-square-foot two-bedroom, two and a half bathroom condo in the building’s mid-block portion, off of the glass corner that garnered the development its “jewel box” nickname. Before 152 Elizabeth Street, Pritzker Prize-winning architect Tadao Ando had never designed a building in New York City. The ultra-high-end, seven-unit, seven-story Nolita condominium is currently on the rise at the corner of Elizabeth and Kenmare Streets. Every detail of this Ando building reflects the famed architect’s philosophy that, “a living space should be a sanctuary. 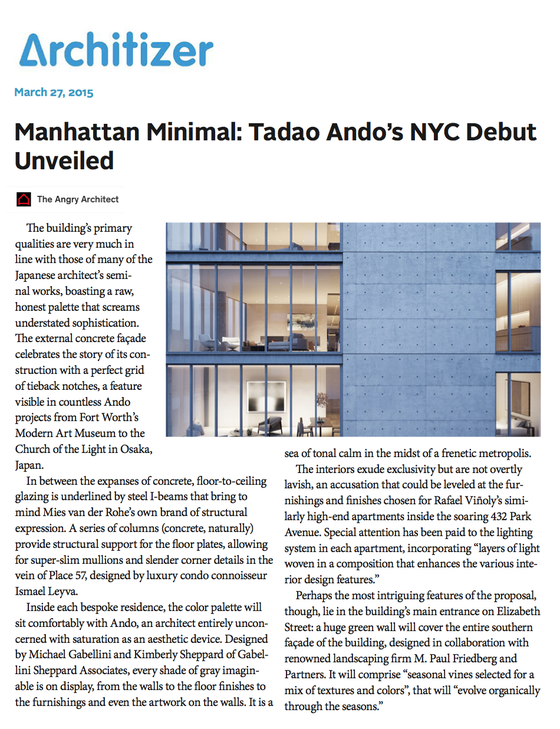 It has to be a place where you can reflect on your life.” Ando’s signature use of concrete and glass creates a strong yet minimalist beauty that finds balance at a location on the convergence of numerous neighborhoods. 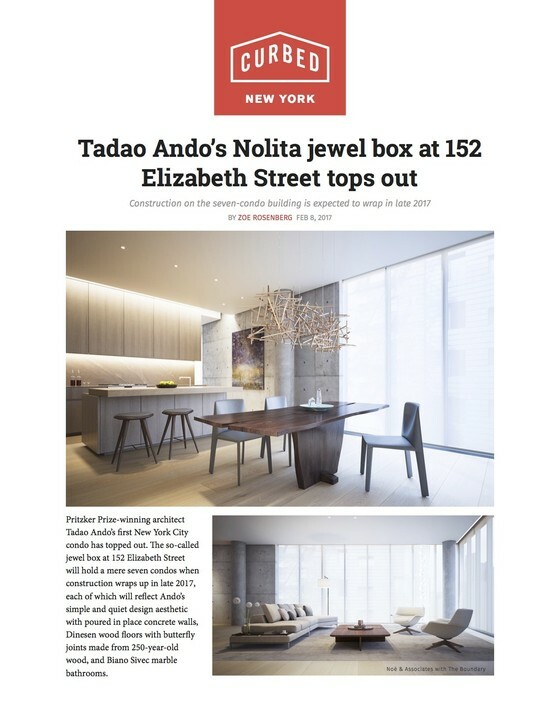 The first New York residential building designed by Pritzker Prize-winning Japanese architect Tadao Ando may be nestled in the pulsing heart ofNolita, but the seven extraordinary homes within it reflect little of the gritty hustle and bustle around it. Known as 152 Elizabeth (152elizabethst.com), the ultraluxurious new development’s half- and full-floor dwellings, as well as its stunning duplex penthouse—designed in collaboration with New York-based architect and designer Michael Gabellini—were conceived as highly crafted “urban sanctuaries” unlike any other residential spaces in Manhattan. 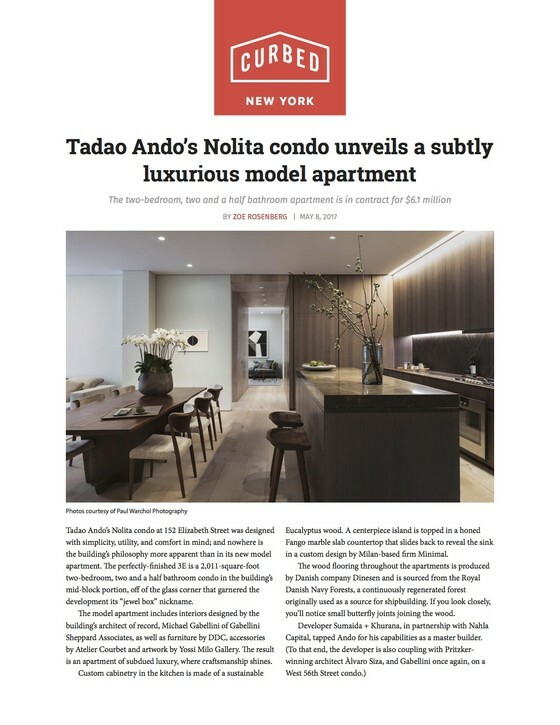 And with the recent unveiling of a $6.2 million fully furnished model unit designed by Gabellini’s firm, Gabellini Sheppard Associates, prospective owners can get a taste of the elevated lifestyle they’ll experience when the project is completed later this year. 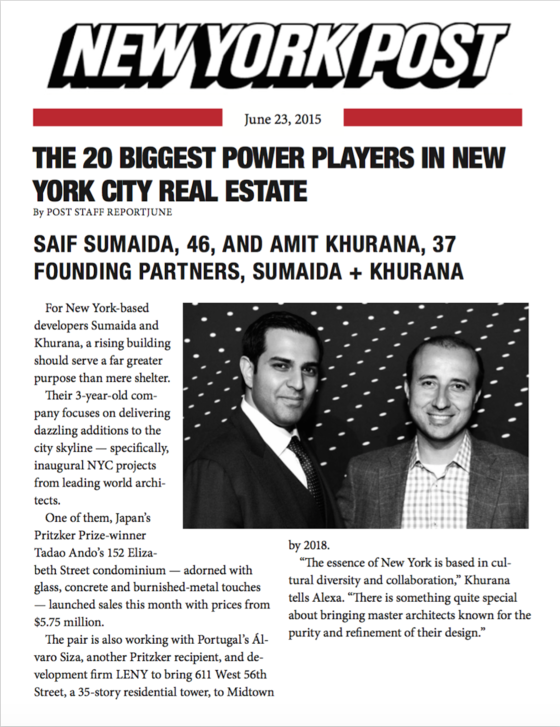 For New York-based developers Sumaida and Khurana, a rising building should serve a far greater purpose than mere shelter. 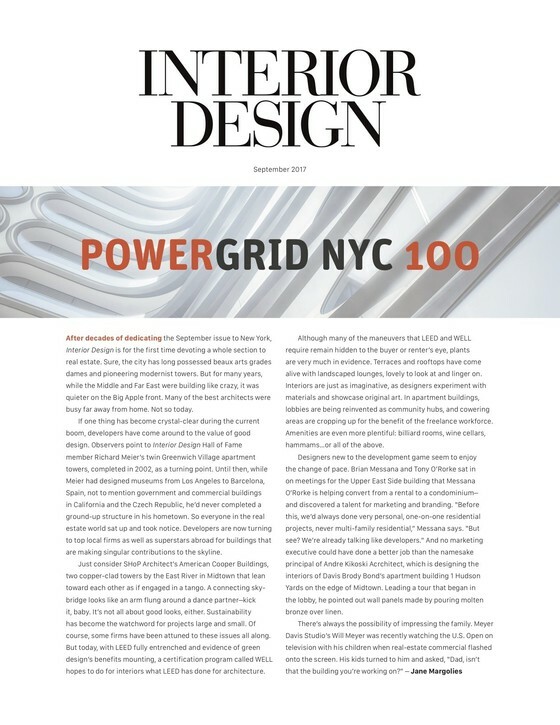 Their 3-year-old company focuses on delivering dazzling additions to the city skyline — specifically, inaugural NYC projects from leading world architects. 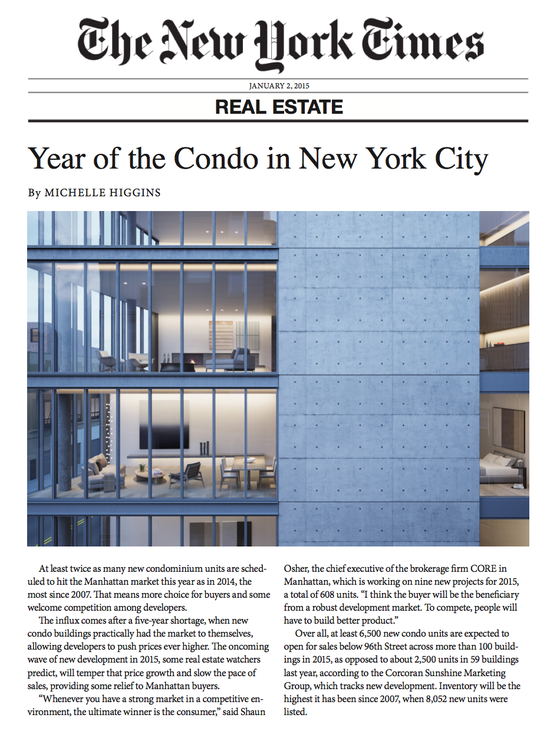 One of them, Japan’s Pritzker Prize-winner Tadao Ando’s 152 Elizabeth Street condominium — adorned with glass, concrete and burnished-metal touches — launched sales this month with prices from $5.75 million. Ando a New York, realizzato dallo studio Sumaida+Khurana, è un edificio trasparente con la base di cemento ricoperto, da un lato, da una parete verde che si erge maestoso, seppur piccolo, nel cuore di Nolita, a Manhattan. 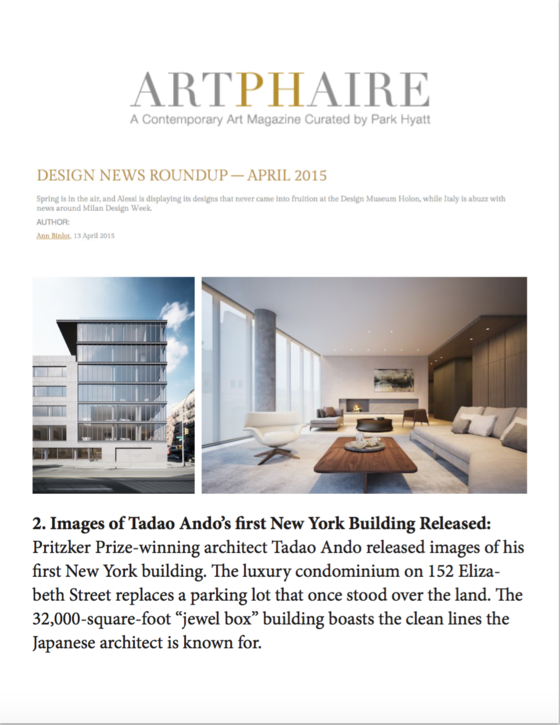 Pritzker Prize-winning architect Tadao Ando’s first New York City condo has topped out. 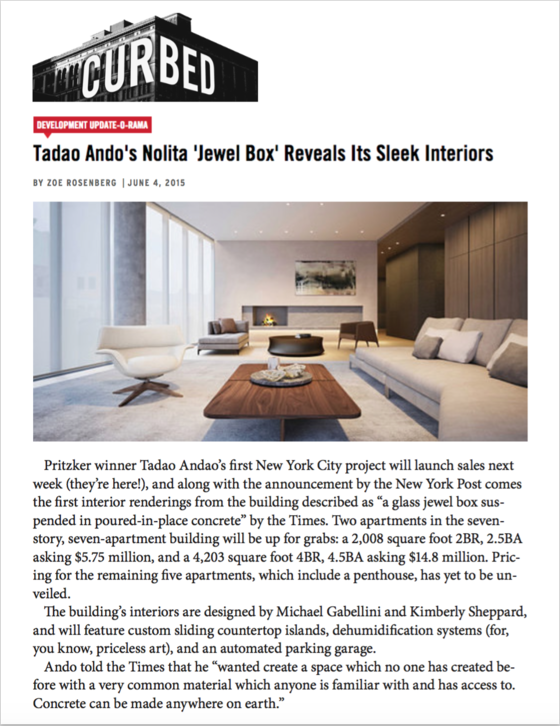 The so-called jewel box at 152 Elizabeth Street will hold a mere seven condos when construction wraps up in late 2017, each of which will reflect Ando’s simple and quiet design aesthetic with poured in place concrete walls, Dinesen wood floors with butterfly joints made from 250-year-old wood, and Biano Sivec marble bathrooms. 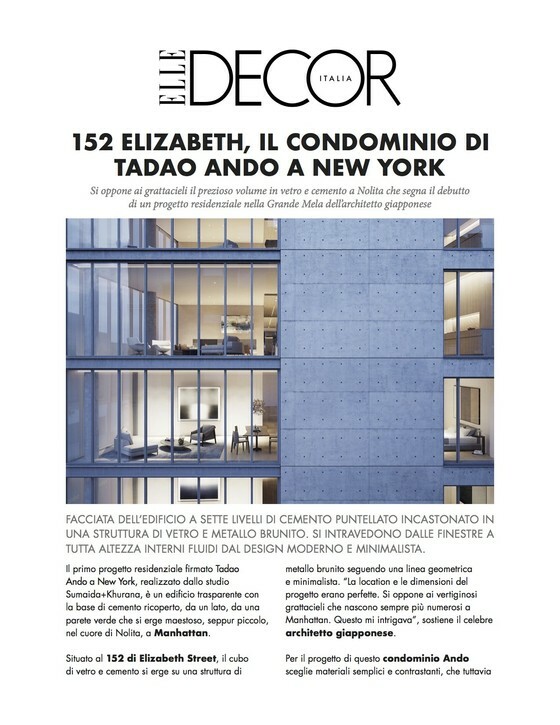 in New York City—152 Elizabeth—has topped out in Manhattan’s Nolita neighborhood. 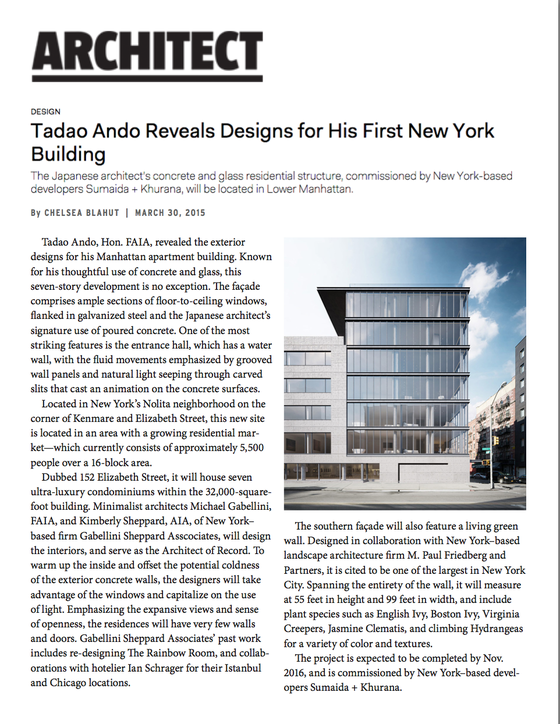 A collaboration with architect and designer Michael Gabellini of Gabellini Sheppard Associates, as well as developer Sumaida + Khurana, the project will feature Ando’s hallmarks, poured-in-place concrete, burnished, metal, voluminous glass, and a living green wall. Japanese Pritzker Prize winner Tadao Ando’s first New York building, near the Bowery, is a beautiful, brutalist koan: A concrete blockhouse saturated with light, it’s the rare luxury condominium that adds to its formerly gritty neighborhood’s character instead of destroying it. Floor-through apartments, slated for sale early this year, start at $15 million. Sales at 152 Elizabeth St. — a glitzy condominium designed by Japanese starchitect Tadao Ando — will launch next week, The Post can exclusively reveal. 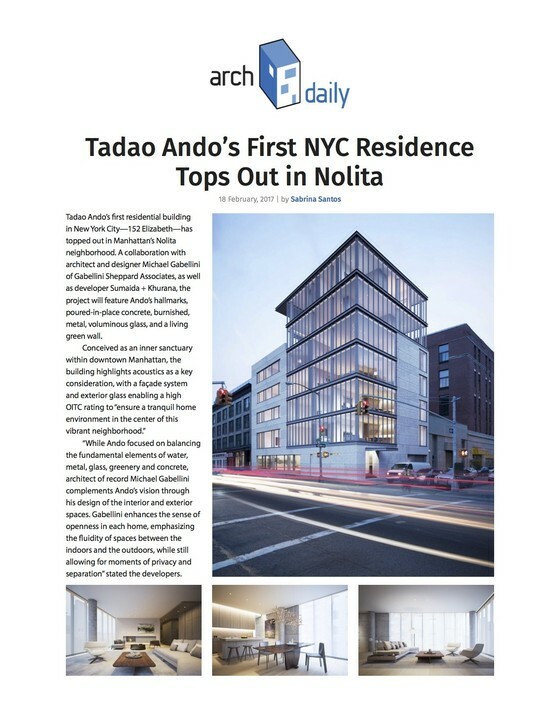 This seven-unit, seven-story building located in Nolita not only marks the first Ando-designed property in New York City, but also his first residential project outside Asia. Next week’s launch will first put two apartments on the market. 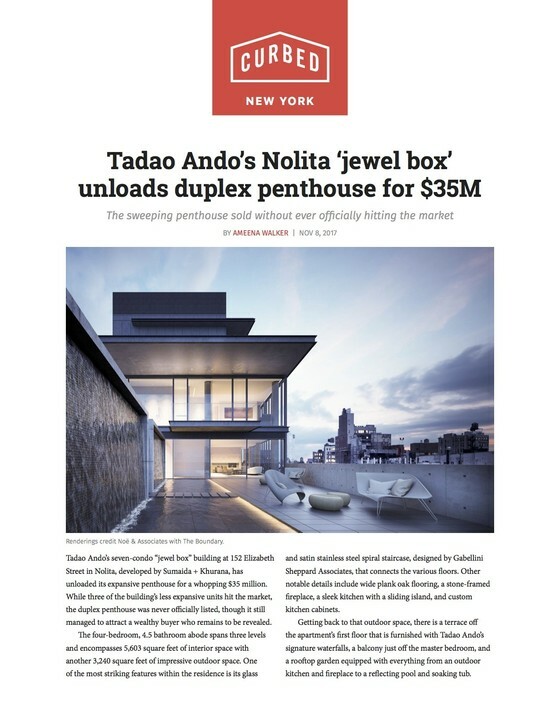 One of them, a 2,008-square-foot half-floor unit with two bedrooms and 2½ bathrooms, will ask $5.75 million.The other, a 4,203-square-foot full-floor apartment with four bedrooms and 4½ bathrooms, will have a $14.8 million asking price. When Sheikh Hamed paid £100m for the best residence at London’s One Hyde Park apartment building in 2007, it confirmed the city as the world’s premier deluxe property investment honeypot. But even as Mayor Boris Johnson and Chancellor George Osborne plot to outpace the growth of New York and make London “the greatest city on earth”, as they proclaimed last week, the Big Apple is taking deluxe living to astonishing new heights – and winning the competition to attract the best names in architecture. 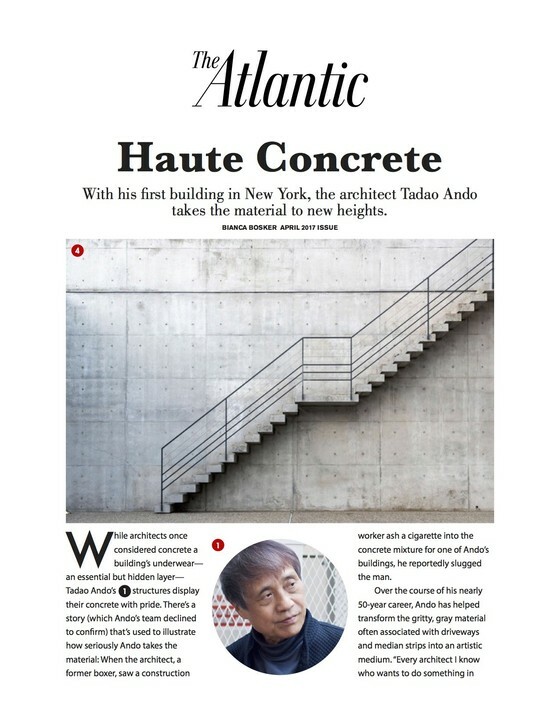 Pritzker Prize–winning Japanese architect Tadao Ando has a wide portfolio of subtle, elegant designs for museums and small residential projects around the globe. However, he has never built anything in New York. Until now. His 7-unit apartment complex at 152 Elizabeth Street in downtown Manhattan’s NoLita neighborhood looks to be a stunning but understated first foray into the city’s red-hot housing market. 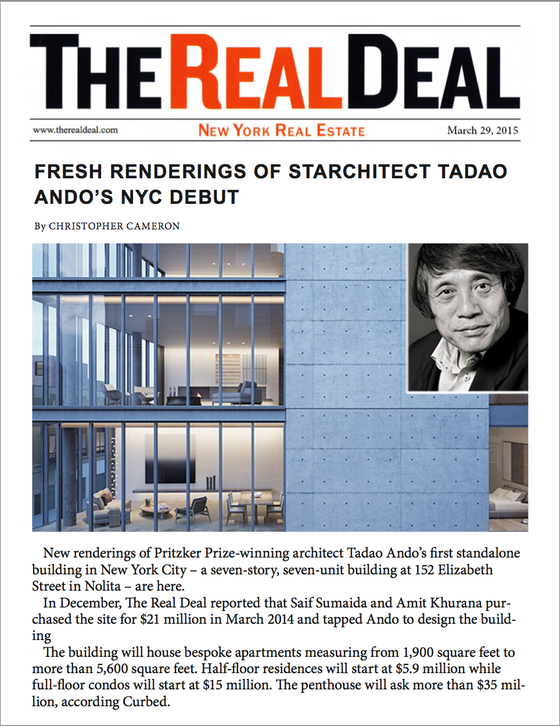 Pritzker Prize-winning architect Tadao Ando released images of his first New York building. The luxury condominium on 152 Elizabeth Street replaces a parking lot that once stood over the land. The 32,000-square-foot “jewel box” building boasts the clean lines the Japanese architect is known for. 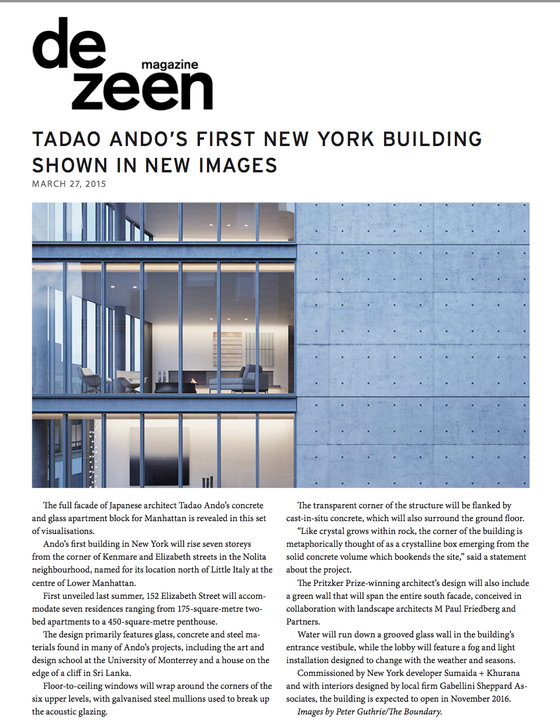 The full facade of Japanese architect Tadao Ando’s concrete and glass apartment block for Manhattan is revealed in this set of visualisations. 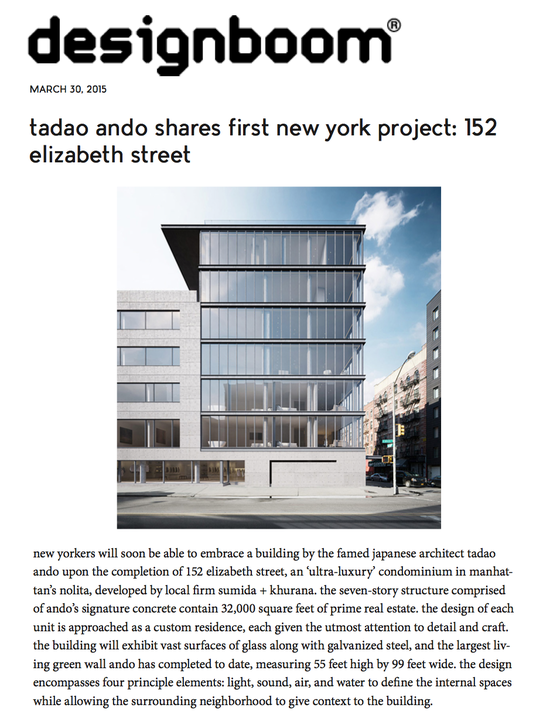 Ando’s first building in New York will rise seven storeys from the corner of Kenmare and Elizabeth streets in the Nolita neighbourhood, named for its location north of Little Italy at the centre of Lower Manhattan. 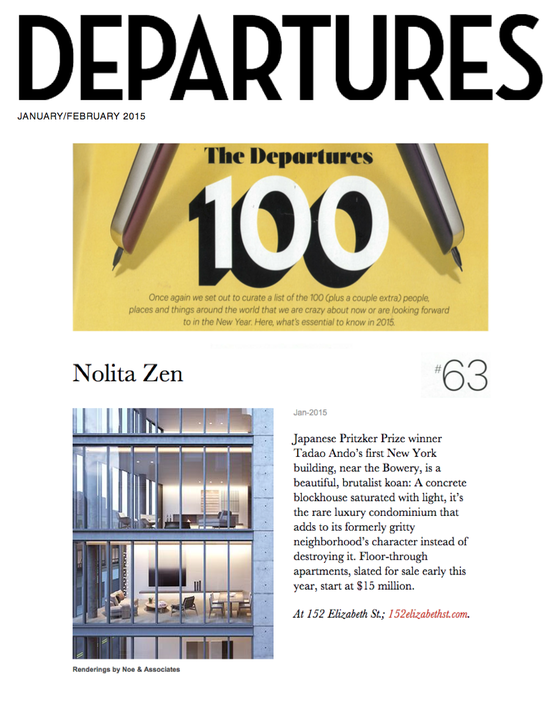 The lionized Japanese architect takes us through his Manhattan masterpiece. 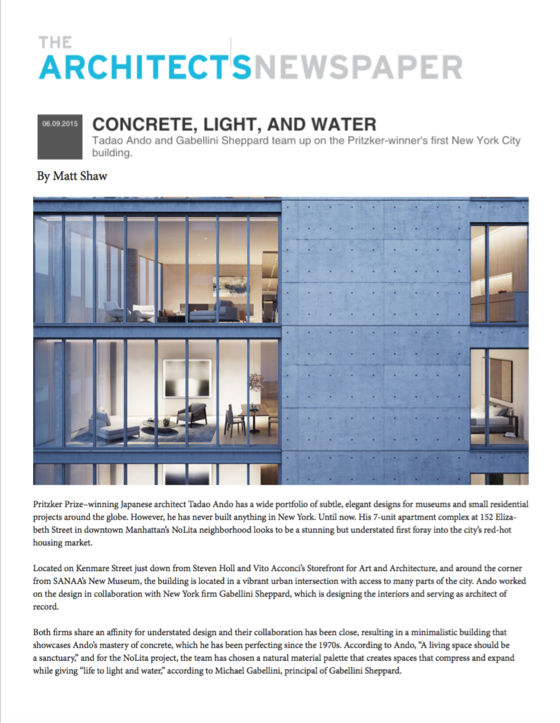 On the corner of Kenmare and Elizabeth Street in Manhattan’s Nolita, a striking new edifice of concrete and glass rises from the pavement, reaching some seven stories up into the ever-changing New York skyline. 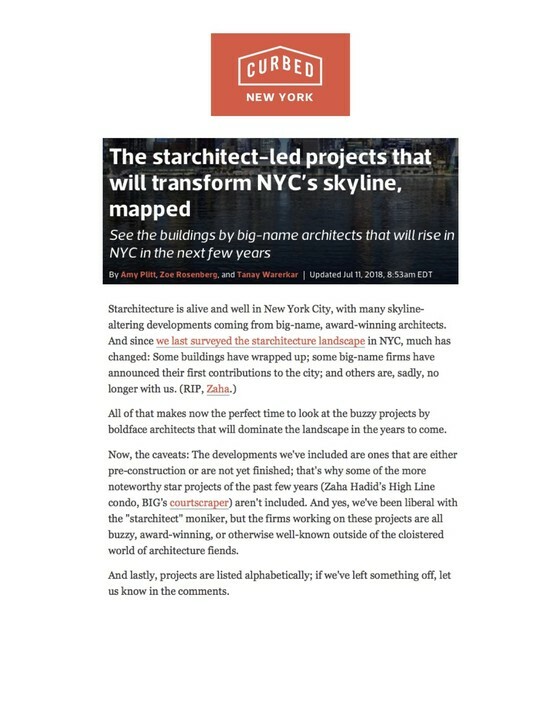 A flock of celebrated international architects are now dazzling the Manhattan skyline with their first-ever New York City residential projects. Japan’s Tadao Ando, whose honors include the prestigious Pritzker and Kyoto prizes, makes his Gotham debut with 152 Elizabeth St., which will soon launch sales. Half-floor apartments at this seven-unit condominium will start at $5.9 million, with full-floors starting at $15 million. 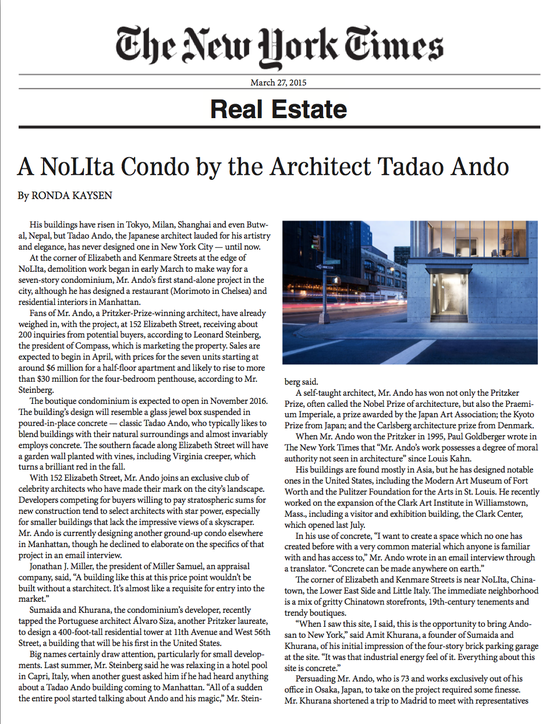 New Yorkers will soon be able to embrace a building by the famed Japanese architect Tadao Ando upon the completion of 152 Elizabeth Street, an ‘ultra-luxury’ condominium in manhattan’s NoLIita, developed by local firm Sumida + Khurana. 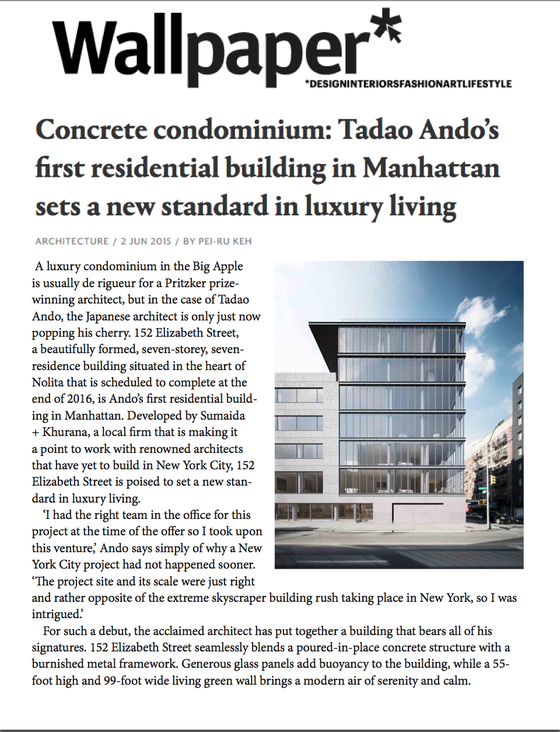 The seven-story structure comprised of Ando’s signature concrete contains 32,000 square feet of prime real estate. 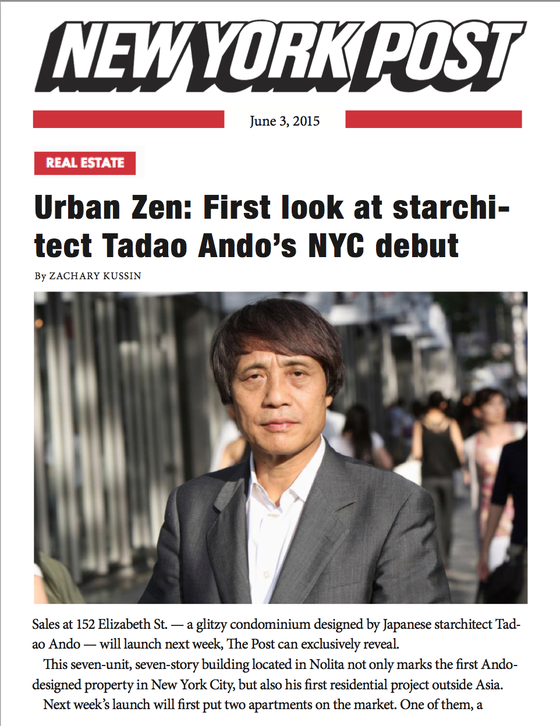 Pritzker winner Tadao Andao’s first New York City project will launch sales (they’re here! 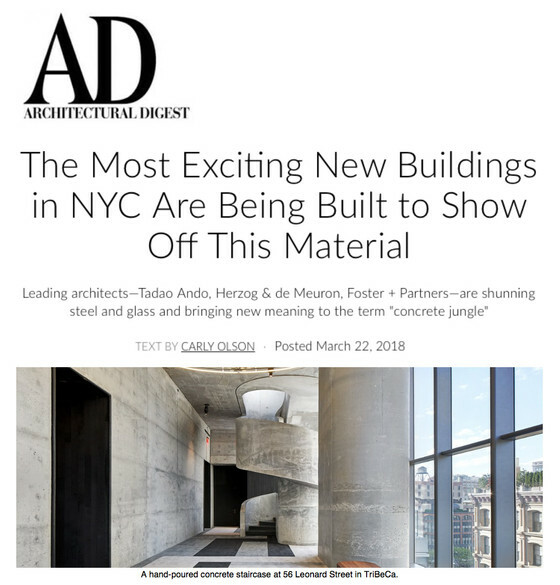 ), and along with the announcement by the New York Post comes the first interior renderings from the building described as “a glass jewel box suspended in poured-in-place concrete” by the Times. Two apartments in the seven-story, seven-apartment building will be up for grabs: a 2,008 square foot 2BR, 2.5BA asking $5.75 million, and a 4,203 square foot 4BR, 4.5BA asking $14.8 million. Pricing for the remaining five apartments, which include a penthouse, has yet to be unveiled. 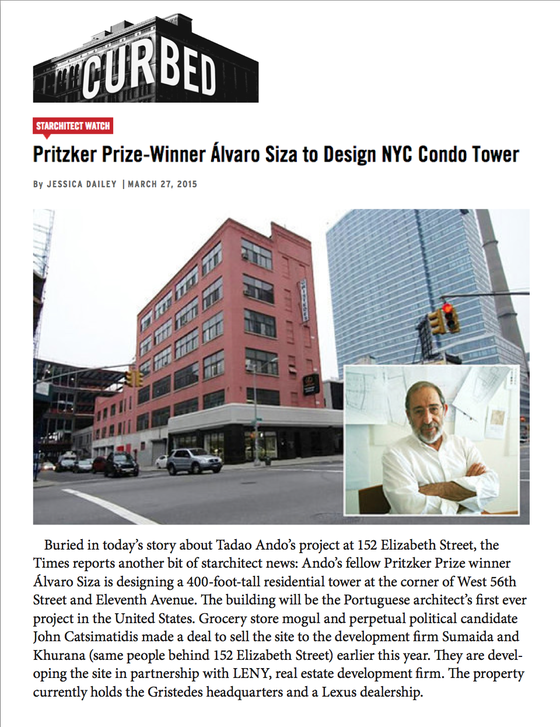 Buried in today’s story about Tadao Ando’s project at 152 Elizabeth Street, the Times reports another bit of starchitect news: Ando’s fellow Pritzker Prize winner Álvaro Siza is designing a 400-foot-tall residential tower at the corner of West 56th Street and Eleventh Avenue. The building will be the Portuguese architect’s first ever project in the United States. 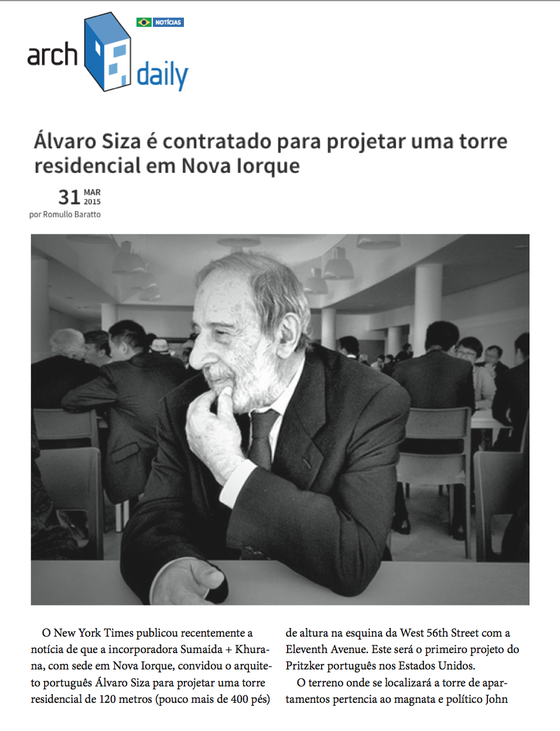 O New York Times publicou recentemente a notícia de que a incorporadora Sumaida + Khurana, com sede em Nova Iorque, convidou o arquite to português Álvaro Siza para projetar uma torre residencial de 120 metros (pouco mais de 400 pés) de altura na esquina da West 56th Street com a Eleventh Avenue. Este será o primeiro projeto do Pritzker português nos Estados Unidos. The building’s primary qualities are very much in line with those of many of the Japanese architect’s seminal works, boasting a raw, honest palette that screams understated sophistication. The external concrete façade celebrates the story of its construction with a perfect grid of tieback notches, a feature visible in countless Ando projects from Fort Worth’s Modern Art Museum to the Church of the Light in Osaka, Japan. 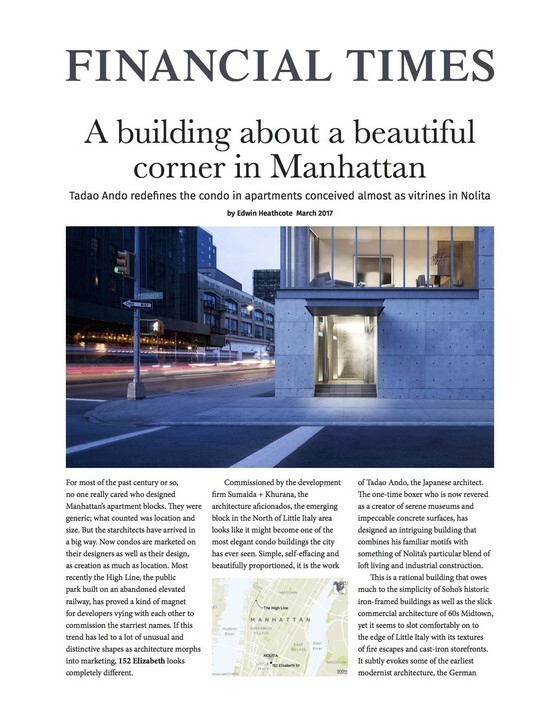 Japanese architect Tadao Ando has unveiled designs for his first building in New York City – a seven- storey concrete apartment block in Nolita.Proposed for a site on the corner of Kenmare and Elizabeth Streets in Lower Manhattan, the 3,000-square- metre structure is designed by Tadao Ando to “embrace the industrial character of the area”. The complete offering terms are in an offering plan available from Sponsor. File no. CD14-0348. 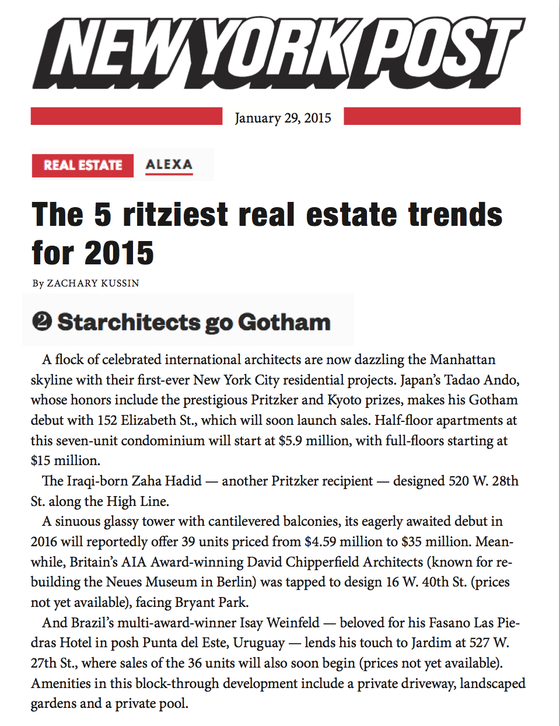 Sponsor: 152 Elizabeth Development LLC, 520 West 27th Street, Ste. 302, New York, NY 10001. Equal Housing Opportunity. You can visit www.152elizabethst.com without revealing any personal information. Our web servers collect the Internet Protocol addresses, but not the e-mail addresses, of visitors. This information can measure the number of visits, average time spent on the site, pages viewed, and other such statistics. In addition, you may be asked for information that identifies you, including your name, e-mail address, mailing address, zip code, telephone number, fax (collectively, "Personal Information"). You may also elect to provide such information to us by sending or responding to e-mails regarding certain listings or services offered in connection with. When you request information, we need to know your name, e-mail address, and mailing address. This allows us to process and fulfill your request. www.152elizabethst.com does not sell, trade, or rent your personal information to others. www.152elizabethst.com may provide aggregate statistics about our customers, sales, traffic patterns, and related site information to reputable third-party vendors, but these statistics will include no personal information. If you wish to access, update, or delete contact information or preferences or personal information, please send an e-mail to info@152elizabethst.com. Please be aware, however, that we cannot always ensure that such corrections or deletions will immediately be made in our database.